The highly sensitive 3D touch of the new iPhone (6s & 6s Plus) brings some really interesting possibilities to the table. One of the very first considerations that came to the minds of the users as well as the app developers was to use the 3D touch system to make the iPhone work as a weighing scale. 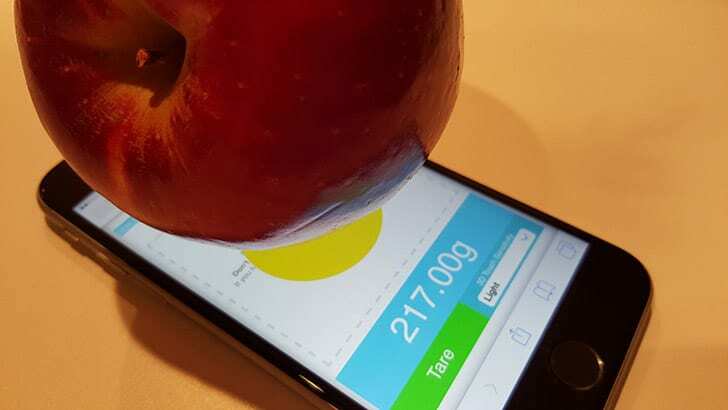 A number of app developers took up the challenge and soon enough, a few apps were generated that would turn the iPhone into a weighing scale. First and foremost, the prime object that concerned the Apple authority was the chance of the iPhone getting damaged. There was a great chance that people would place heavy items on their iPhone just for a fun weight measurement. There may be a few extreme cases, where the user may feel the urge to actually stand over the iPhone to measure their weight; and in order, damaging the screen or breaking the phone altogether. Apart from that, keeping sharp and heavy objects on the phone screen may also cause some unwanted scratch marks. Drug addicts and dealers generally need high precision weight machines to measure the exact weight of the drugs to produce the dosage. So, in a way, the weight measuring app has the potential of becoming a medium of aid for the drug users and encourage the trade. The 1-3 gram precise 3D touch gave the drug dealers a chance to just carry the iPhone in place of those tricky and heavy measuring units with them. Just open www.touchscale.co from your iPhone via Safari browser. A dotted window will appear on your iPhone screen with the instruction “Place something capacitive”. You can put small things you want to measure in the dotted space. The measured weight in grams will then come in a separate window below the dotted space. Note: You can also adjust the 3D touch sensitivity and alter them between Light, Medium or Firm. Now, you can use the 3D touch to measure weight without jailbreaking your iPhone. We would, however, recommend you to do that with great caution, as measuring sharp or heavy items can and will cause serious damage to your phone screen or the whole iPhone altogether. You can use the web app simply for fun or to measure the weight of spices while cooking, weighing the exact amount of sugar or salt that we are going to consume at one go or even calibrating smaller objects in seconds. But, don’t get too greedy and put a heavy object on the phone and risk the life of your beloved iPhone.